In Periyazhwar Thirumozhi, in the hymns celebrating the power of Govardhana Giri, Azhwar says that in the Greatly reverred hill, female monkeys in singing lullabies to their kids, mention the heroic deeds of Hanuman, whose valour completely destroyed the city of demons – the Lanka : “**அடங்கச்சென்று இலங்கையையீடழித்த அனுமன் புகழ்பாடித் தம்குட்டன்களை* குடங்கைக் கொண்டு மந்திகள் கண் வளர்த்தும் கோவர்த்தனமென்னும் கொற்றக் குடையே **”. Acharyar Nathamunigal codified the treasure of the most divine ‘Nalayira Divya Prabandham’. 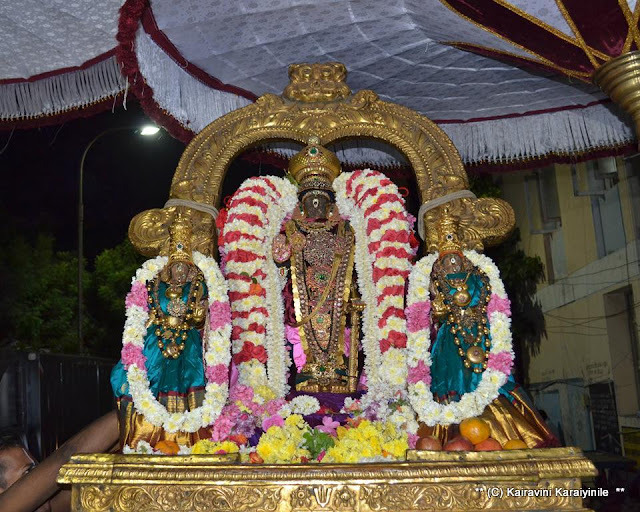 He also revived the Adhyayana Utsavam instituted by Thirumangai Azhwar. From the day of Vaikunda Ekadasi, Iraapathu utsavam starts. 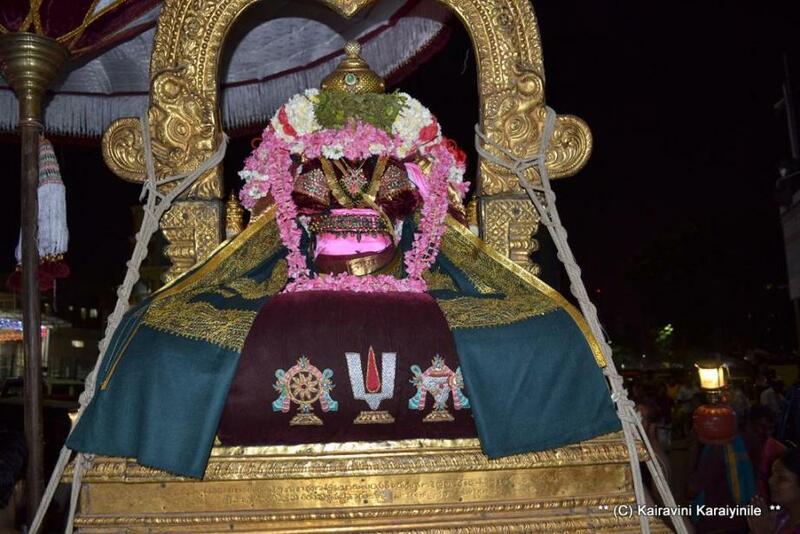 Each day in the night – Thiruvoimozhi is recited. 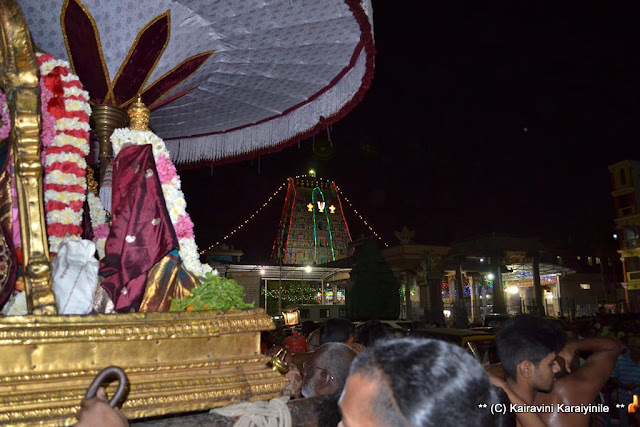 In Divyadesams like Thiruvallikkeni, in the evening purappadu – Upadesa Rathnamalai rendered by Sri Manavala Mamunigal is recited by the Divyaprabandha goshti on mada veethis. 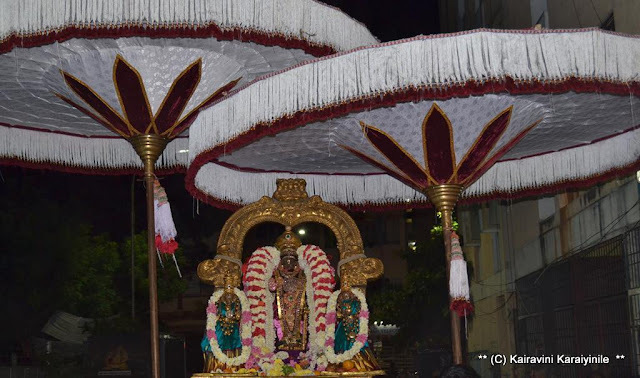 The festivity of Adhyayana Uthsavam is enthralling and today is day 4 of Irapathu Uthsavam. Today is more special – ‘Hanumath Jayanthi’. The most sacred Ithihasa purana ‘Sri Ramayanam’ is the undiluted history of the Greatest Person who descended on this Universe, on the banks of river Sarayu, in a prosperous country called ‘Koshala’. 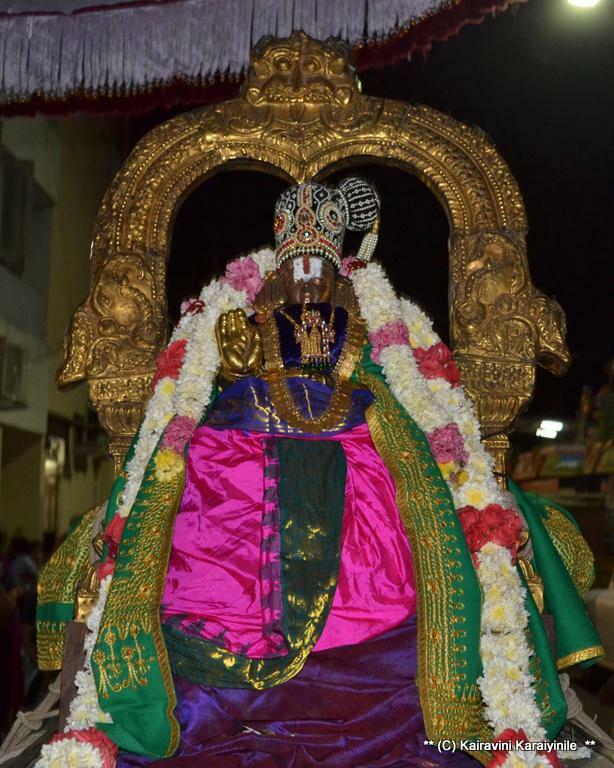 Totally committed to this Master, thinking of His welfare alone – unassuming, yet capable of telling the right things at the right moment – is Pavana Puthra Hanuman – Aanjaneya, who is called ‘siriya thiruvadi’ – who carried Rama on his shoulders during the war in which the demon was killed. At Thiruvallikkeni divyadesam, right in front of the Sri Ramar Sannathi, Sri Aanjaneya resides. 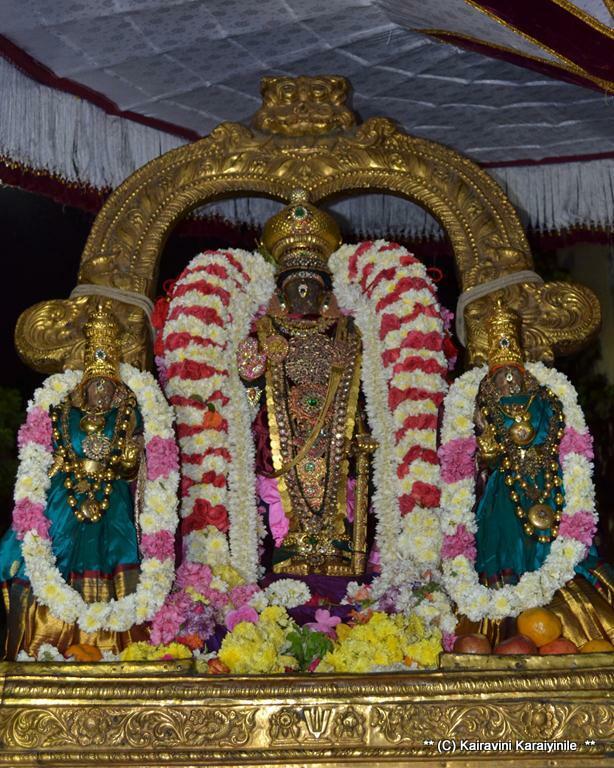 Once in a year, there will be purappadu for this Utsavamurthy and today it was Grand Purappadu for Sri Parthasarathi Perumal with Sri Hanumar and Swami Nammalwar. [there is another Thiruvadi kovil at East Tank Sq!] According to the legend, Lord Hanuman is present wherever the story of Lord Rama is recited. 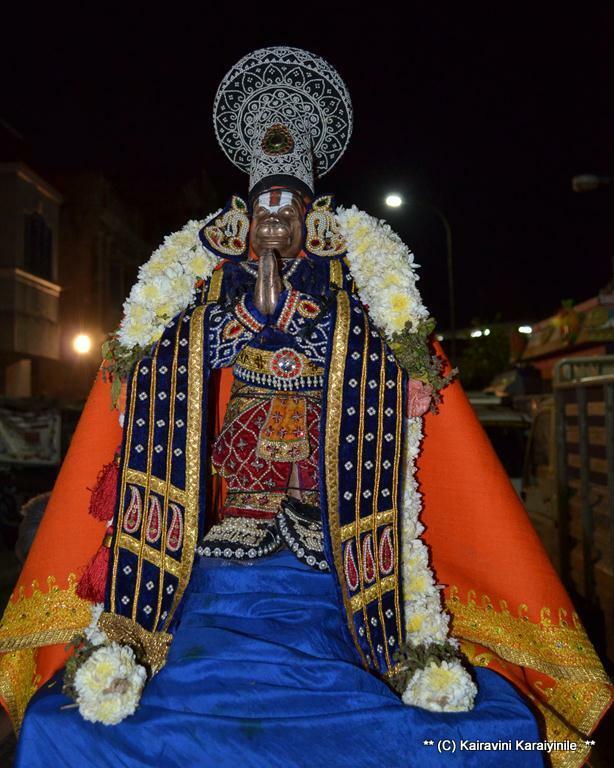 Let us prostrate at the feet of Jai Hanuman ~ here are some photos of the purappadu.